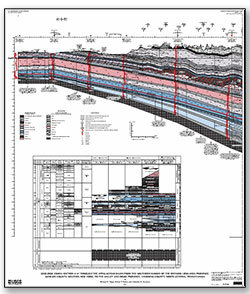 Understanding the national and global availability of resources as well as the environmental impacts of their development is essential for strategic decision making related to the nation’s energy mix. 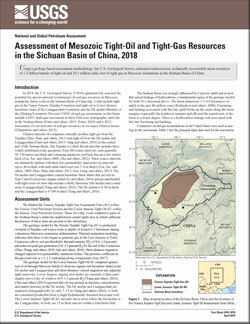 Current Press Releases, Technical Announcements, Publications, Field Reports, and Science Highlights. 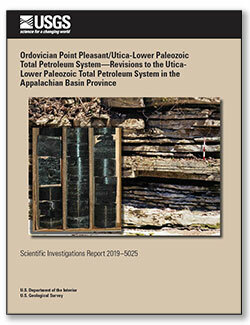 Enomoto, Catherine B.; Trippi, Michael H.; Higley, Debra K.
Enomoto, C.B., Trippi, M.H., and Higley, D.K., 2019, Ordovician Point Pleasant/Utica-Lower Paleozoic Total Petroleum System—Revisions to the Utica-Lower Paleozoic Total Petroleum System in the Appalachian Basin Province: U.S. Geological Survey Scientific Investigations Report 2019–5025, 6 p., https://doi.org/10.3133/sir20195025.